Words by Kevin Doocey on February 3, 2010 . It’s no lie to say that our clash with Cardiff City on Friday could prove the most important game we’ve played all season. I know every game is important and match with West Brom at St.James’ Park only a few weeks ago was too a momentous clash. However, there’s even more on the line in our upcoming fixture against Dave Jones men. 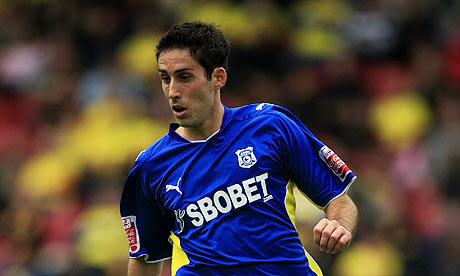 Cardiff in flying form of late and Michael Chopra’s back to scoring ways, not to even mention Peter Whittingham who has been fantastic for the Blue Birds this season. This game could make or break our season. Alan Smith and his fellow colleagues are feeling the pressure now with a few draws of late, our latest away to Nigel Pearson’s Leicester City. However, if we do indeed mess up at home to Cardiff City on Friday, the title race will open up to more than Newcastle United, Nottingham Forest and West Brom, we’ll see Cardiff move into a very threatening position. With West Brom winning away to Ian Holloway’s Blackpool, it sees them close the gap on Nottingham Forest. If we draw, or get beaten by City, then you can guess what the scenario will be. I really think this will be a momentous game. If we win it’ll inspire confidence into the team yet again, if we lose I wouldn’t like to think what it’d mean for Newcastle United and our hopes of getting back to the Premier League at first attempt. Needless to say, we should be there or there abouts come May, but it would be nice to win it outright and get back up with a bang. A Leon best hat-trick on Friday would be quite the tonic indeed. Absolutely spot on 'bout Friday's game. With WBA winning and Forest being in a good form of late this game could have massive mental value to the squad more than 3 points...we have been playing pretty poor(nicest way I could put it) lately and the win would be massive for the players and the Toon Army. Here is hoping for a good win...Howay The Lads!!! Boing boing, pressure building now, we are hitting our stride, we have done it before, we will do it again! hopefuly best gets us going cos we need something up front.we can get it into the last third but we are missing the finishing product. This is going to be a seriously tough match. BUT although our new team needs time to gel, there's no doubt that our attacking options have been bolstered hugely. If Jonas is back in, with Routledge on the left, (hopefully) Guthrie in the middle where he's best, perhaps Best given a crack up front and even van Arnie pinging 'em in from LB, I think we'll score goals now. I think we'll need to, though - they're not exactly short of goals themselves.